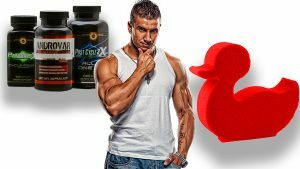 Strong Stacks: Buffed Bodybuilding Stacks or Nerfed Supplement Nonsense??? under dosed or maybe you’re not taking them in the right combinations? Well cult favorite Strong Supplements may have just what you need. This week they’ve introduced Strong Stacks, which they say are powerful supplement combinations for max results. Strong has years of experience helping bodybuilders and athletes reach their goals. Not only do they offer the products but also a unique program they call “Pro Support”. Pro Support is their brand of customer support with a twist, they have active bodybuilders and athletes on staff helping to guide customers. Strong Stacks are the result of Pro Supports’ experience with many thousands of customers and the thousands of supplements they sell. They’ve taken the combinations of supplements that have performed best for customers and compiled them into bulking, cutting and beginner stacks. We’d question if you really need all these supplements to get the results you’re looking for. But when reviewing the website we noted the very positive responses customers left in their reviews. Maybe this wisdom of crowds approach to supplementation does have something going for it or maybe it’s just more nerfed supplements churned out by the mainstream fitness industry …you be the judge. You can see Strong Stacks for yourself here.